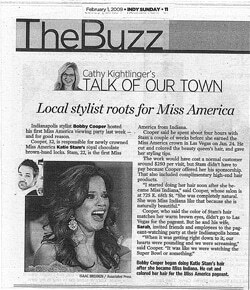 Bobby Cooper, owner of Bobby Cooper Salon, styled Miss Indiana all the way to being the first ever Miss Indiana to be crowned Miss America. Read the Article Here. Congratulations Katie Stam and Bobby Cooper!